Civilization has always been a series based on scenarios. Using history as its canvas, we’ve been able to paint stories about how pesky an adversary Montezuma was or how Gandi nuked all of our cities among other “what if” situations. 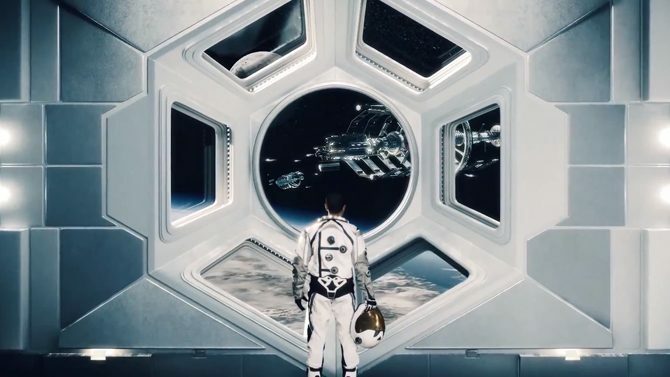 Civilization: Beyond Earth steeps itself in that same realm of “what if” scenarios with the concept of needing to search the stars for a new home that humanity can endure on after exerting Earth’s resources. The result is an excellent strategy experience that is only held back by its inability to transcend its own heritage. 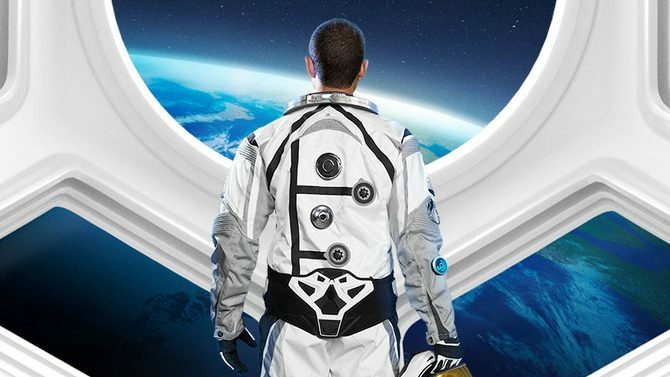 It’s clear from first loading up a session of Beyond Earth that it benefits from developer Firaxis Games’s years of experience. 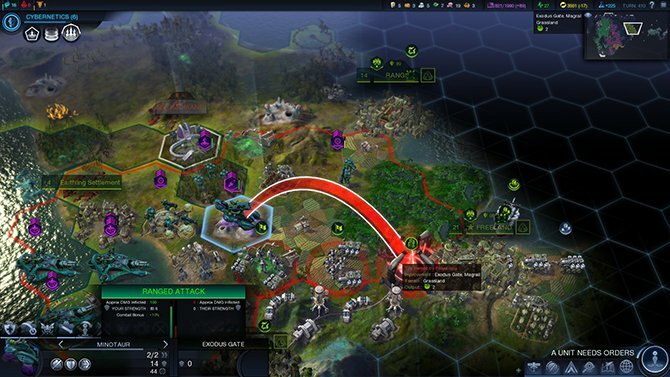 The studio has been developing turn-based strategy games that have been making fans say “one more turn” for well over a decade, and that same addictive gameplay is vividly apparent in the foundation that Beyond Earth is built upon. 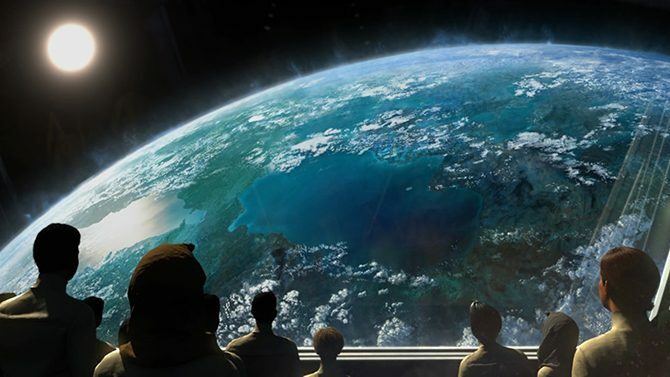 Like most Civilization games you start Beyond Earth by picking a faction and placing a colony on a planetary map ranging from a Pangea-esque supercontinent to a series of small islands. That colony grows into a city as you create explorers, workers and soldiers to expand and enhance your civilization while defending it at the same time. 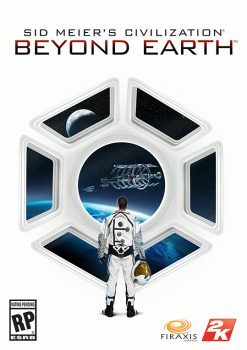 For all intents and purposes, Beyond Earth plays much like Civilization V in this regard and you’ll easily find yourself in a similar rhythm in no time at all. The major difference between the two is all in the feel. The issue of feel can be mainly attributed to this game’s alien nature. The historical and real world context of other titles in the series gives players an easy idea of how to progress and figure out how they need to build their society. 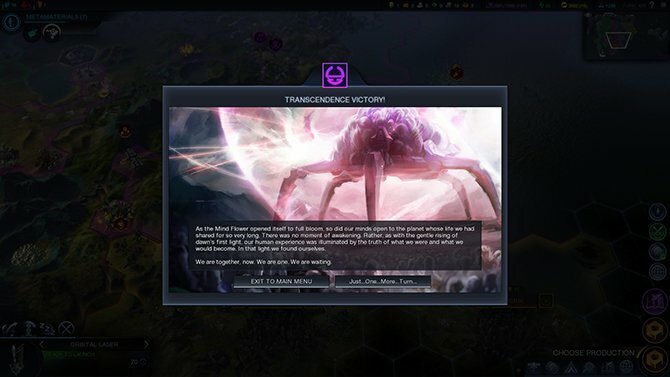 The alien feeling in this title, however, is enhanced by the game’s technology web that lets you branch and make meaningful choices in your civilizations development. It creates a bit of a clumsy experience as you are essentially throwing darts against the board hoping whatever you picked will be helpful to accomplish victory. 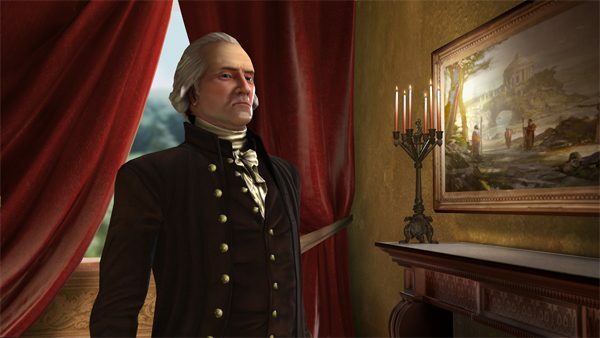 Making the decision between reaching for something like Iron Working or Theology in Civilization V makes much more logical sense than trying to figure out if Collaborative Thought or Seismic Induction are necessary without ample previous research in the games Civilopedia resource. 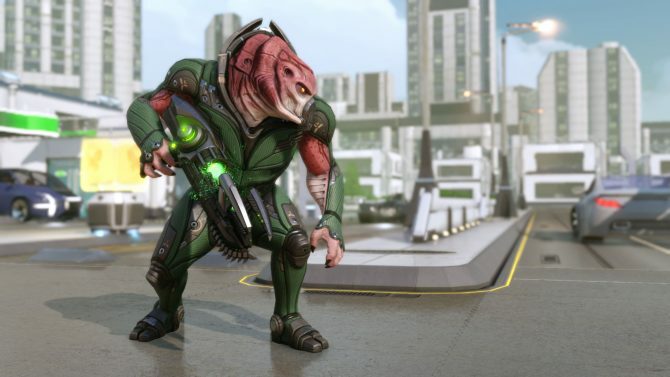 This same alien feel also carries over to the factions that are available in Beyond Earth. The eight human factions, ranging from the Pan-Asian Cooperative to the African Union, are bland, stiff and uninspired. The most I could tell that separated the likes of one faction from another was differences in their insignificant cultural bonuses and the language they spoke. None of them portrayed distinct characteristics or any sort of ideology to separate them from one another, a disappointment considering how well known the main series is for its distinctive historical figures. Firaxis really missed the boat here to use the sci-fi setting to create bold, new and unforgettable characters. 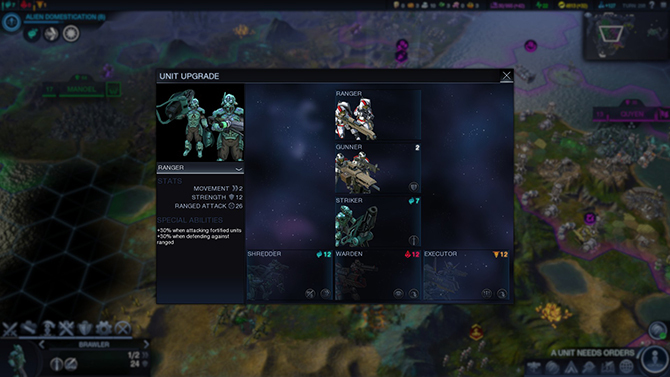 Fortunately, while the factions may be cookie cutters of one another, there is still room for deviation in civilizations through the new Affinity system. Over the course of a game you can slowly customize your civilization to one of three Affinities: Purity, Supremacy or Harmony. These three factors allow you to directly influence how you wage war, unlock Affinity specific units and alters your perception among your CPU peers. Purity focuses on making contact with Earth to bring the remnants of humanity to the new world while providing militaristic bonuses. Supremacy believes that rather than contacting Earth to bring them to our new world that they, as the superior humans, must send military units back to Earth to emancipate them from their primitive ways. Lastly, Harmony revolves around connecting with your new planets’ conscious and melding you minds with it to stop autonomous, individual identity, to reach a harmonious nirvana. These conditions can be met based on how much your civilization steeps into the three categories, collecting points by unlocking various branches and leafs of the technology web and through exploration and virtue development. By gaining experience in these categories you can unlock enhancements for your units, letting you choose between one of of two bonuses when they “level up.” The upgrade is seamless and retro fitted to your units already on the field, leaving no awkward scenarios where you would need to delete outdated units in previous iterations of the series. What is extra interesting is that the more you delve into each Affinity, the more your leader, units and cities share that Affinities appearance, giving a touch of customization that is well needed. While the Affinity system may be one of the game’s greatest additions, its other tweaks aren’t nearly the same home run. The orbital layer, a second grid layer raised above the surface, can house satellites for added strategy. Unfortunately, most of these satellites that can be launched merely create area of effects for bonuses to the tiles beneath them. Only orbital lasers that can be used to bombard the surface seem to be of any real value. Diplomacy is also a mixed bag, as I found it to be a functional system that could use refinement to allow me to more capably communicate to my neighbors why they needed to step off my lawn. Particularly, in my Pan-Asian Cooperation campaign, in the first 50 or so turns I destroyed a station — the Beyond Earth equivalent to a city-state — that was near Brasilia’s border. They scorned me for the action and asked me to nicely avoid dabbling with their trading partners again. I apologized and went on my way, only for them to publicly condemn me about 15 turns later for the same reason. From that point forward, Brasilia would approach me to tell me not to mess with trade stations near their border and occasionally condemn me for the rest of the 450+ turn game. Later on, Brasilia began to harass my trade stations and when I wanted to approach them on the subject to tell them to take a hike, I simply couldn’t. My only means to end the conflict and keep my interests intact was war, something I found very dissatisfying. Lastly, the addition of aliens that inhabit the planet provide a similarly lukewarm reception. Replacing barbarians, these various critters roam the map at random and can come in contact with you throughout the game. The problem is that they don’t act in any distinct way and are sort of a wild card. Often times you can merely ignore them and they won’t harm you, while at others they will attack and ruin your newly created colony. Even worse, they fill no role later in the game and cause no penalty to your different Affinity goals. I thought for sure that for the Harmony Affinity, where you are trying to bond with the planet, that you would need to avoid killing them and eventually need to tame the creatures for new units. Instead, they merely exist to occasionally cause a nuisance (with the siege worm being the only one that remains close to a real threat), and become all but irrelevant in the late stages of a civilization when they are hopelessly outgunned. These new pieces, whether they nail their execution or not, collect into an experience that, at the end of the day, varies only slightly from the Civilization V. This is simultaneously its biggest strength and weakness, as you find yourself enchanted in the tried-and-true meat of the game, falling into the cycle of “just one more turn” that made the series popular. But the more you delve into the game, the more you feel like you are playing a high quality mod or an expansion rather than a full-fledge new installment in the series. This is what will most likely divide most fans, as some will be more than happy playing more of the same, while others will feel that the lack of things like a true religion system, the small number of luxury resources or the flimsy diplomacy to be steps backward from what was established in Civilization V and its two expansions, giving you a much less robust experience for the price. 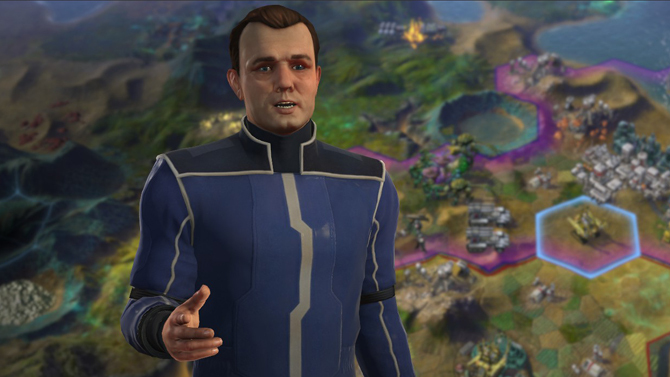 All-in-all, you can’t go wrong with Civilization: Beyond Earth if you love the franchise. 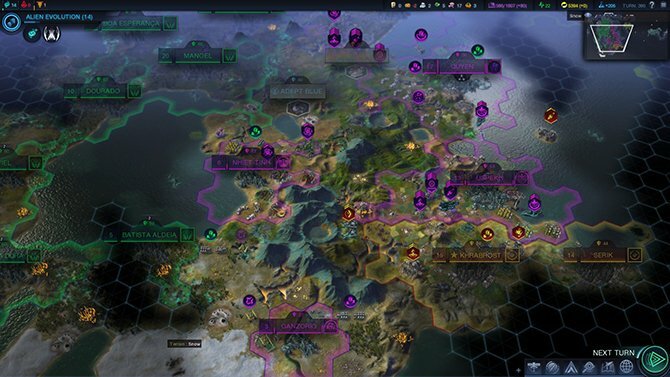 Affinities and new units give it enough spice to distract you for awhile, but I did find myself desiring to simply load up Civilization V the more I played for its greater depth. I think the basis of the game will definitely be built upon by Firaxis over the next few years, but right now it is the most bland and vanilla Civilization game you can play. Beyond Earth’s trip to the final frontier simply isn’t bold, and plenty of people will find out that they have been here before.